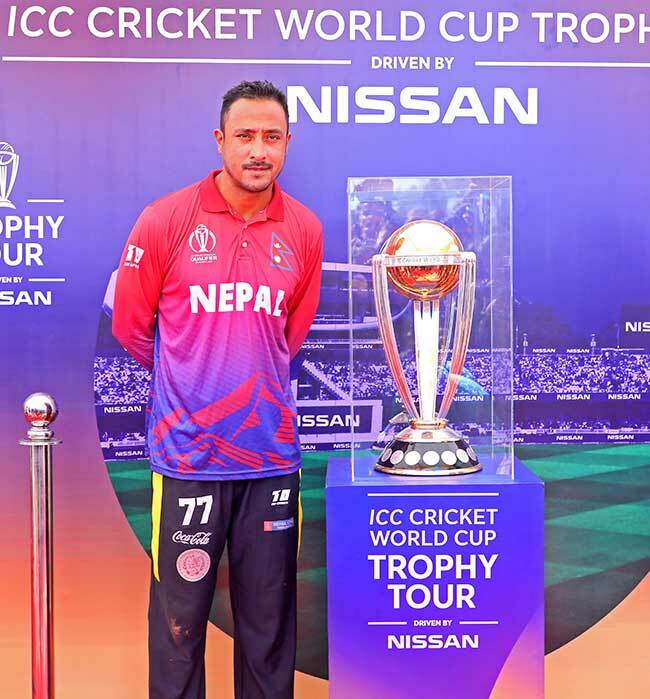 POKHARA, Oct 27: The trophy of the ICC Cricket World Cup that is in Nepal tour has been made public at Pokhara on Saturday. 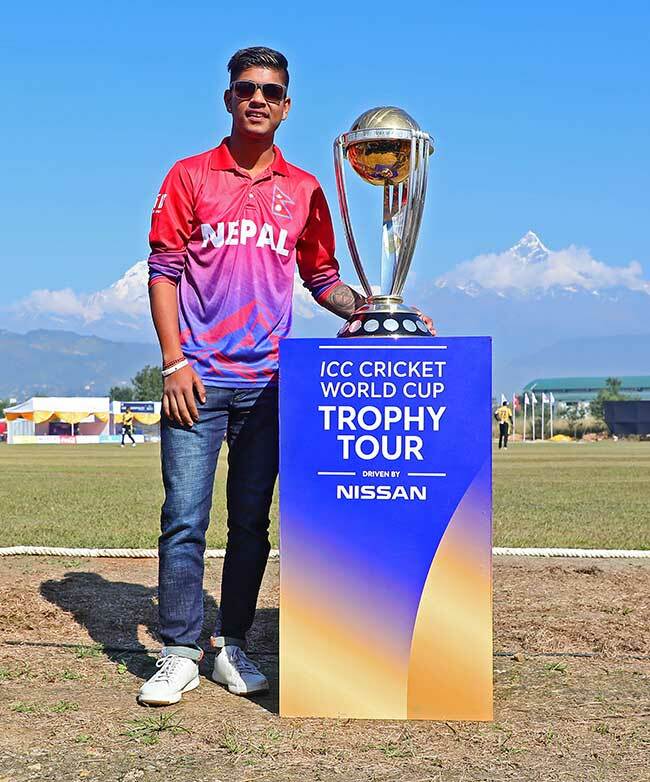 It was made public during the ongoing Pokhara Premier League (PPL) that is being held at Pokhara.It was made public by the national cricket player Sandeep Lamichhane. Just a day before, the trophy was made public in Swayambhu, Kathmandu. After publicizing it in Kathmandu, it was taken to Pokhara Stadium. Likewise, it is planned to be kept for exhibition in the bank of Fewa Taal as well. While the trophy was made public, Butwal Blasters and Chitwan Rhinos were competing as the first game of the second day of PPL. Security guards and volunteers are providing good security of the trophy.